Trying to optimize the online visibility of your business? Our team of experts help you establish your corporate presence through website design and development services, as well as social media tools. Boosting the online presence and popularity of your business is essential for achieving business success. Attracting the attention of online users is your key towards increasing sales leads. We specialise in delivering effective corporate presence tools and strategies to forward thinking companies. Two of our best corporate presence tools are web design/development and social media presence. If you are looking for someone to create a market-oriented website and incorporate your personality in it, look no further. We provide all kinds of web design and development services for individuals and businesses. Our aim is to make sure your online business page or website reflects your personality. We incorporate the latest technologies in the development of websites and social pages, to achieve desirable results. We want your website to be functional as well as creative. 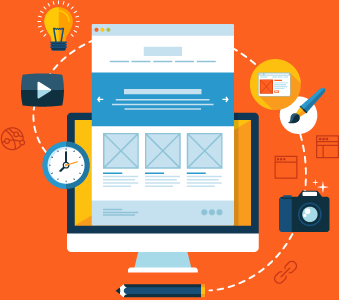 Whatever you present on a website needs to be aesthetically pleasing. The viewers will only view your website or page if it attracts them. We endeavour to ensure that your webpage is what the people want to look at. Presenting an amalgamation of creativity, technology, style, your personality and our brains; our created websites and pages are what you will want to look at every day. Need an improved Corporate Presence? Request a quote!